A small plate shelf to display a few of your favorite collection with a plate groove and 4 cuphooks included. Our 3 shelf plate display rack in Cherry wood. 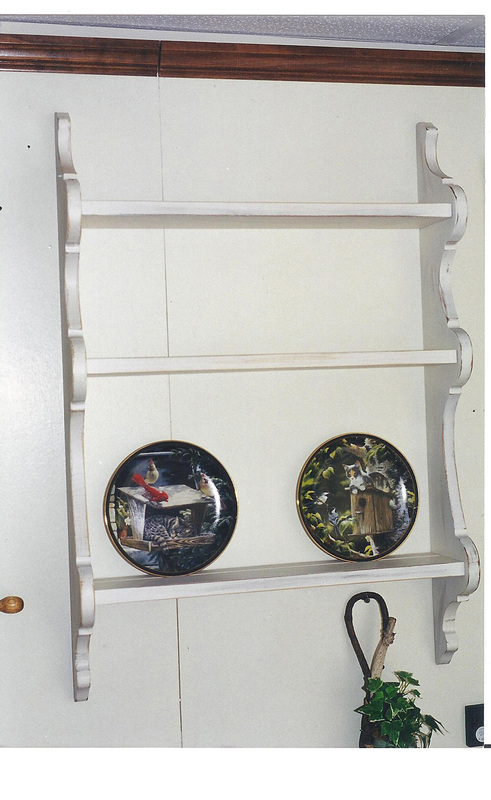 Three shelf plate rack to display your treasured china or other knick knacks. Our painted version of the Berry plate Shelf made of select poplar wood. A shorter version of the Berry Plate Shelf with only 2 shelves. A truly colonial design three shelf plate rack to display treasures of yesteryears gone by. 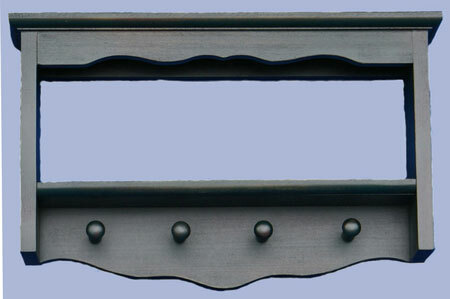 A small wall shelf to supplement the decor in any kitchen and give it that country home feeling. A Colonial wall shelf with a quilt rod and plate groove on the top shelf. Lovely shelf made of solid oak with a plate display groove on the top. Lovely painted shelf of solid wood with a plate display groove on top.